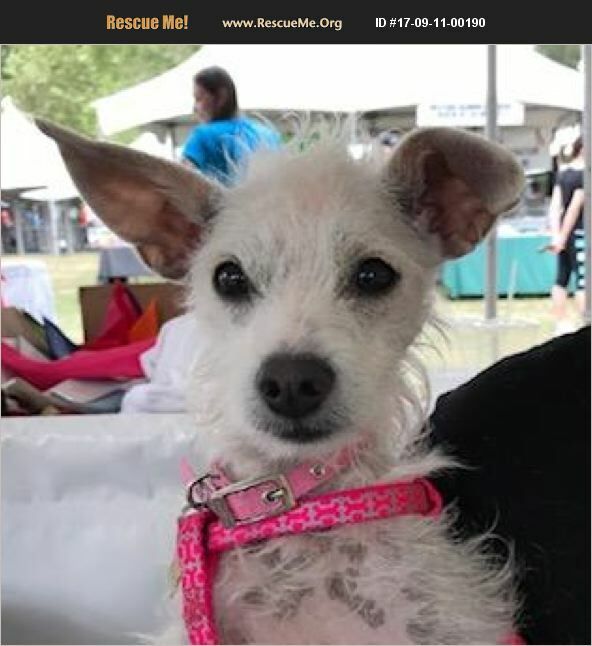 Missy is a 9 month old Terrier Italian Greyhound Chihuahua Mix that weighs about 7 lbs. When full grown she should be the size of her Mom, who is 15 lbs. We have no idea who Dad was. We rescued her Mom, Olivia, from a high kill shelter that does not spay or neuter the dogs so it's up to the rescue groups who save them to get that done. We did not know Olivia was pregnant when we saved her and about 2 weeks later she gave birth to 7 puppies. Missy is an active very sweet puppy and she and her sisters play all day with each other. Her ears might stand up or have one ear up and one floppy we don't know yet. She isn't house trained yet, but we are working on that. If you have another playful puppy or dog or if you are looking for an active playful puppy, she would be a good match. Missy has had 2 puppy vaccines and will be getting spayed soon. If you are interested in Missy, please complete the on-line application or contact us for more information.